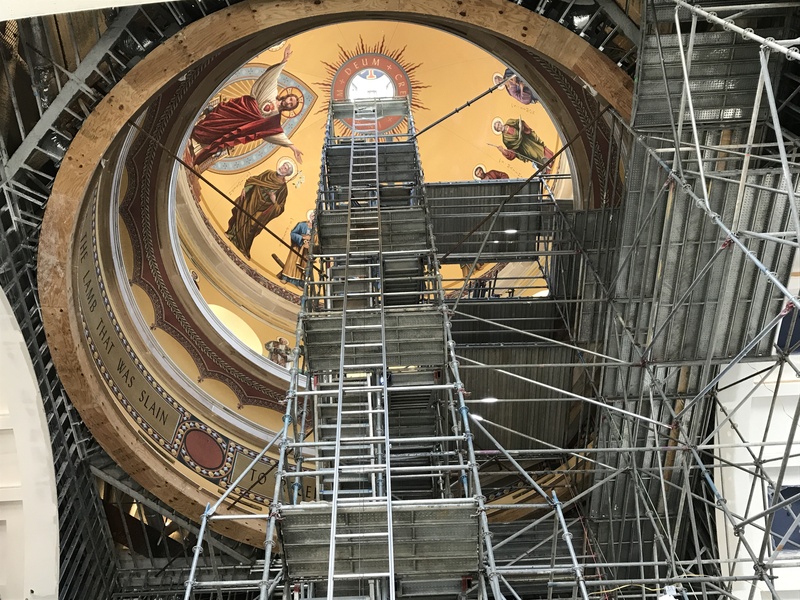 Over twenty years after becoming a Diocese, the Cathedral Parish of the Most Sacred Heart of Jesus has moved out of the high school chapel and into the Cathedral they have always dreamed of (in 2018). 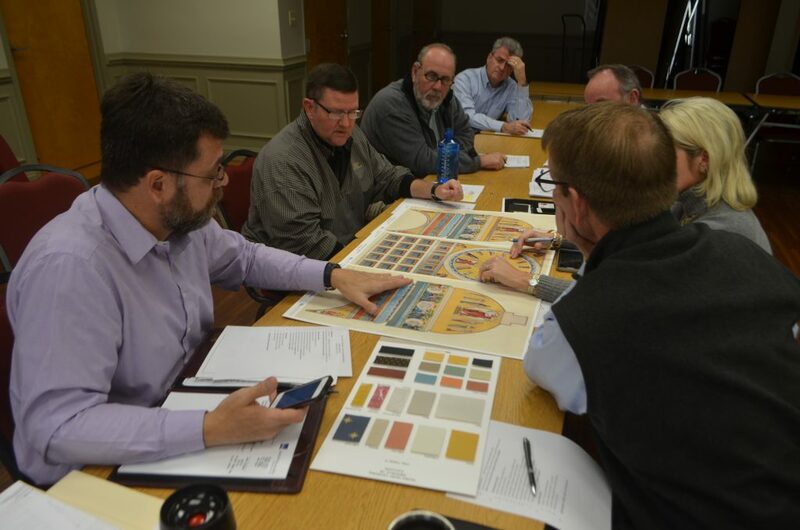 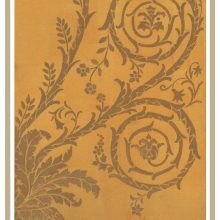 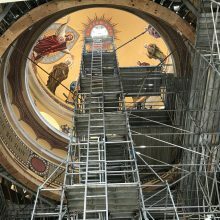 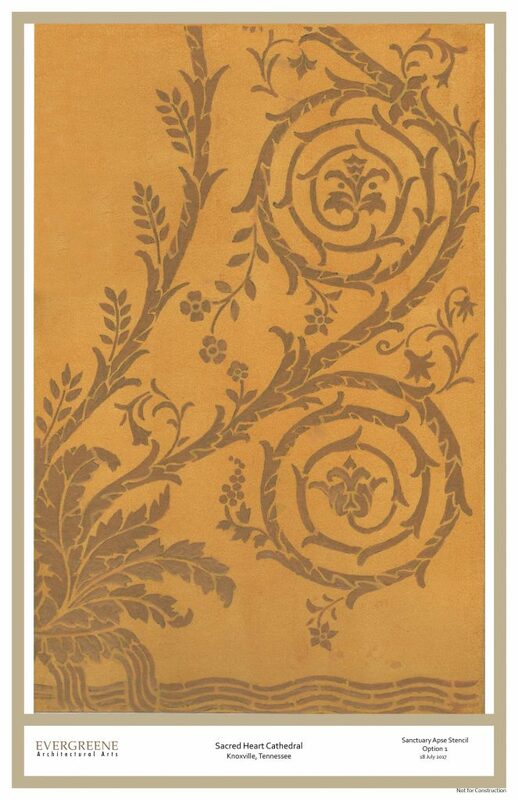 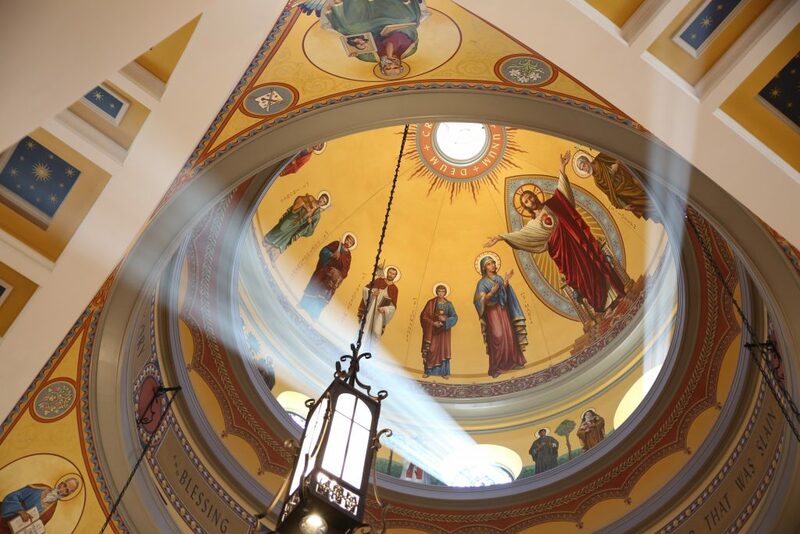 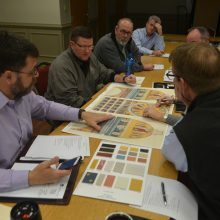 EverGreene was commissioned to develop and produce McCrery Architects’ liturgical artistry program with the theme “restored to glory through Christ. 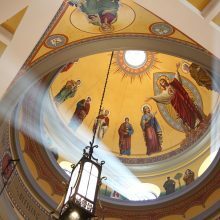 ” Notable elements include murals featuring the Sacred Heart of Jesus (in the 90’ cupola) in the company of Mary, Joseph, and 12 apostles bearing instruments of their martyrdom; lower registers feature 16 saints walking in the new Eden; Veil and jewel motifs; scripture; Evangelists and tetramorphs in the pendentives; and a subtle shimmering pattern on the sanctuary wall recalling the Jesse tree at San Clemente.